As ComicsAlliance reported on Saturday, this weekend's C2E2 convention finally revealed what all those "O.M.I.T." 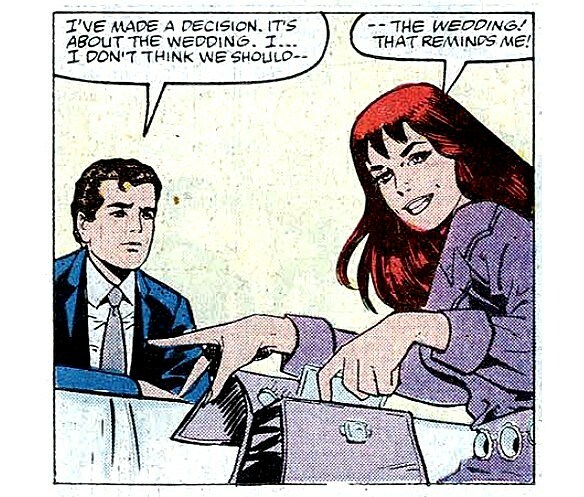 house ads have been about: "One Moment In Time," the story that provides the officially retconned story of Spider-Man's wedding day and explains why it didn't happen. If you ask me -- not that anyone actually did -- this seems pretty unnecessary. 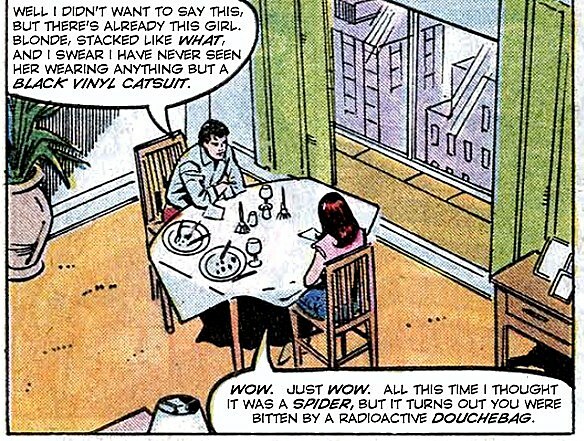 Not because it's a reminder of the universally reviled "One More Day" story and the fact that Spider-Man made a literal deal with the devil, but because if you've actually read the original Spider-Man wedding issue -- "Amazing Spider-Man Annual" #21 -- it's not hard to see how things could've gone wrong. It is without question the most unromantic wedding issue of all time, pretty much amounting to around 40 pages of Peter talking about how he doesn't want to get married and then going ahead and doing it anyway. 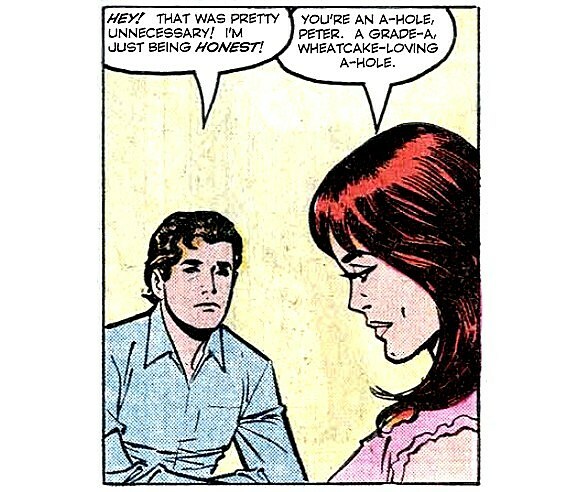 Not exactly a strong foundation to build wedded bliss upon. But could there be more to the story? 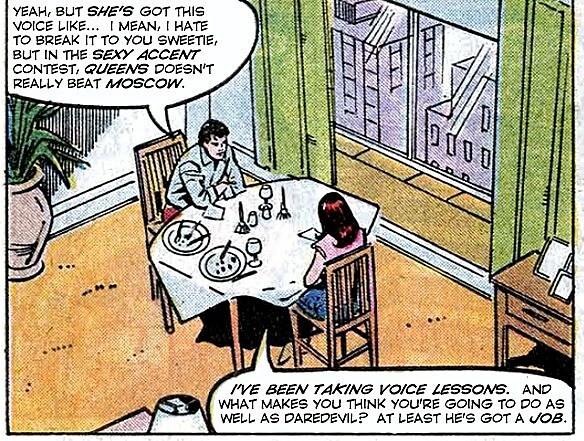 Marvel obviously thinks so, and today, I've taken it upon myself to offer up my own version of why their engagement might've gone sour at the last minute!